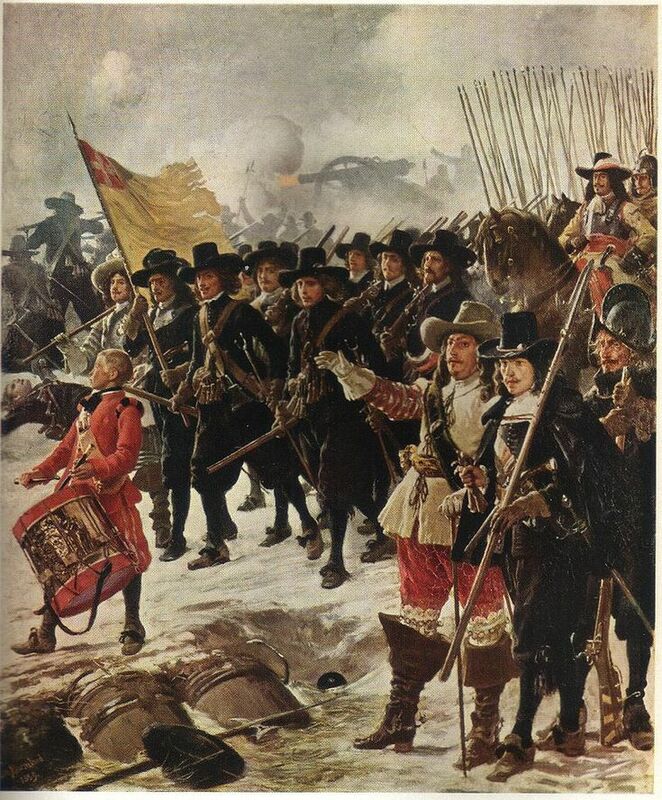 In the summer of 1657 Danish/Norwegian King Frederik III thought himself clever when he declared war on Sweden - while they were occupied with fighting in Poland - and send troops into Sweden. Very unfortunately for Denmark the Swedish King Karl X Gustav immediately ended his campaign in Poland and marched west towards Jutland, which was taken in the fall of 1657. Since the Danish navy was stronger than the Swedish it didn't seem critical, but then it started to be a very harsh winter and the Belts froze over, keeping the Danish/Norwegian navy in ports. The Swedes were able to cross the Little Belt and take Funen and then also cross the Great Belt landing on Zealand. The Danes were forced to a very hard peace in Roskilde 1658 with the Danish loss of Scania, Halland, Blekinge, Hven and Bornholm and Norwegian loss of Båhuslen and Trondheim-len. Then after the peace the Swedish King reconsidered; why shouldn't he end Denmark once and for all while his army still occupied all the Danish territories except Zealand? 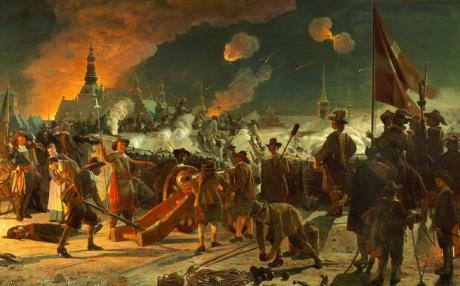 So Karl X Gustav broke the peace and send a force to siege Copenhagen. The Danish/Norwegian King Frederik III was advised to flee to Norway, but he declared that he "would stay in his nest" bolstering the defenders moral. When the Swedes took Elsinore and Kronborg castle in September the Danes in Copenhagen were totally boxed in. The Dutch had promised to help Denmark in case of an unprovoked attack and a Dutch navy was able to break through the Swedish naval siege and land 2000 marines to help with the defenses. 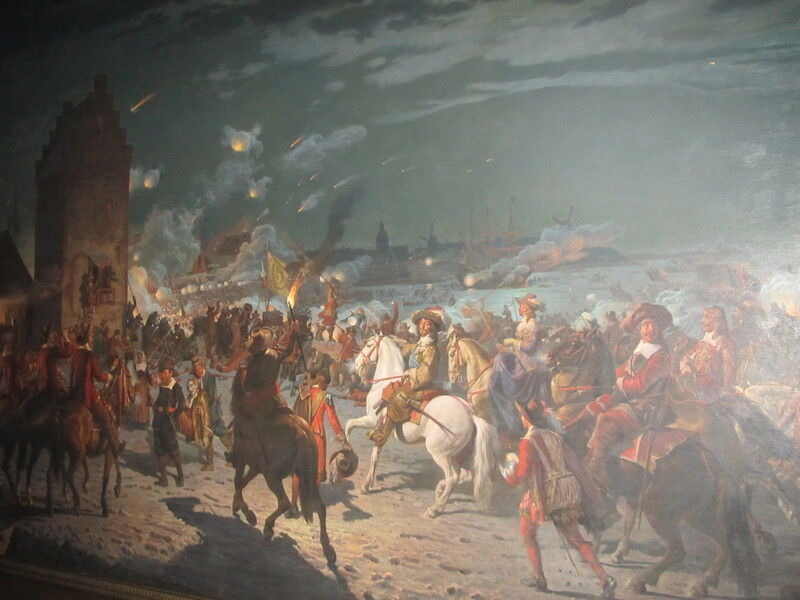 The Dutch had supported the Swedes in war 1643-1645 against Denmark to avoid the Danish Sound Toll, but now it looked that by weakening Denmark, they had made it possible for a much more powerful country to emerge as controller of the Sound Toll. The Swedish siege force were eventually a professional 9000 man strong against ~10.000 defenders. Besides the 2000 Dutch, you had a mix of Danish professional soldiers (3000 men), city militia (3500) and the rest other willing townspeople. The population of Copenhagen was 29.000 at the time. 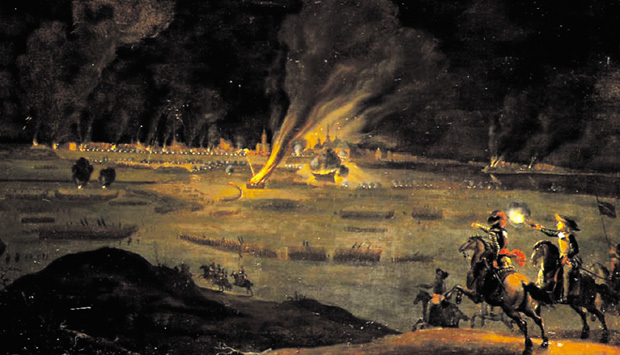 When the Swedes attacked in Feb. 1659, Danish spies was aware of the three locations in time to inform the defenders, so they could put on a strong defense including ambushes. It was a disaster for the Swedes. The Swedes lost 532 dead and 894 wounded before the attack was called of, with only 12 Danes died (other sources say 17 Danes, so I guess that is wounded that died after the battle). The first Swedish officer that managed to actually scale the Danish defenses was killed by Claus Ahlefeldt using his partizan. This weapon thus received cult status, as Denmark was saved as a country (and Danes as a people, when you later see what happened in Scania, Halland and Blekinge). The dual existence of Denmark/Norway and Sweden/Finland (critically on each side of Øresund so no one could control the strait and exact a Sound Toll) was especially of interest to Holland, England and Russia -> so this was the last time a united Scandinavia was close to form. The weapon is 265,5 cm long. Here a later historical painting by Vilhelm Jacob Rosenstand (1889) of the overall commander Hans Schack (presumed) talking with Claus Ahlefeldt (presumed) with his partizan leading the Students of Copenhagen at the "Storm" (when the Swedes attacked). His partizan is painted way to short, though. The enrolled "Student Contingent" were apparently 266 men strong. The dutch painter Daniel Vertangen (1601-1683) provides a contemporary view (from outside the walls). I never knew that Ahlefeldt's partizan still exists today after his demise centuries ago. Where is it currently kept? A fascinating bit of history - thanks Niels. There are clearly still huge chunks of European history which I know next to nothing about. Also nice to have an account of a partisan actually in use in hand-to-hand combat - I've long been partial to partisans, but most secondary/modern sources which I had read suggested that they were usually more symbols of command or ceremonial in nature, while downplaying their effectiveness as weapons. 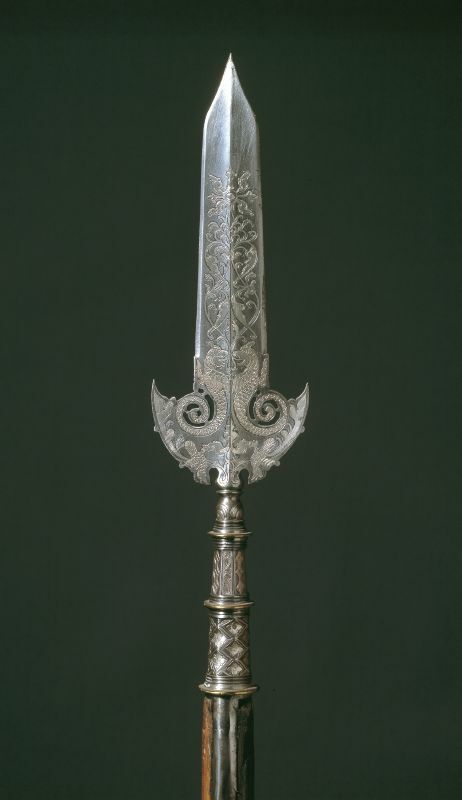 This one clearly shows that a weapon can be both ornate and functional. Do you know if the inlayed (gold?) designs on the blade are an original part of the weapon, or a later embellishment (after it had attained its historical status)? 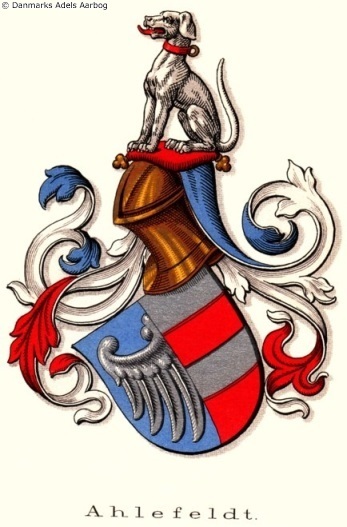 Since Claus Ahlefeldt was an officer [came form a vast prominent Noble family from Holsten with a lot of members in the army] he owned and carried a partisan as an honorary status weapon. So it was important for his dignity and authority that is was flashy. It is with all certainty original and not later made more ornate. It is unknown whether the partisan got presented to the King Frederik III (King 1648-1670) after the battle in 1659, or it went to King Christian V (King 1670-1699) when Ahlefeldt died in 1674. Today it is at the National Museum in Copenhagen and apparently his armour should be in the Schleswig Museum. He was “hofjunker" [Court "Junker"] of King Christian IV (King 1588-1648) and married the Kings youngest daughter (Elisabeth Sophie Gyldenløve)! He was the commander of the Western defense front of Copenhagen, and was promoted to General-Lieutenant just a week before the Swedish Storm on Copenhagen in feb. 1659. So when he places himself in danger beside his men with his partizan against the incoming Swedes (killing the Swedish officer first to scale the defense works) it must really have boosted the Danish defenses. He was at the place where the main Swedish attack took place. In 1669 he became Field Marshall and commander of all the Slesvig/Holsten, Danish and Norwegian Army forces. Ahlefeldt family [again the german wikipedia page has the most info]. The Ahlefeldt-Laurvig-Bille line owns today Egeskov Castle on Funen; that also has an extensive automobile and motorcycle collection. 3. Why the feat has made him such a cult hero to this day. I had made some incorrect assumptions about the gentleman based on that first painting of him at the siege, and I suspect others may have as well: since the painting shows him at the head of a company of university student volunteers, I had assumed he was a relatively unimportant young college student himself at the time. That he was actually 45 years old, was born into a great noble family and had married into the royal family, had served as an officer under Wallenstein during the 30 Years War, and now held general officer rank -- that puts a rather different picture on his actions. I think the image from 1889 is very deliberate in it's effect to misinform us! It seems actually that is was the Danish and Dutch professional soldiers that did all the fighting against the Swedes and the Copenhagen citizens build fortification works and was held in reserve (that never became needed). Later it became politically important to highlights the courage of the common "Copenhagener" especially the Students as this painting was commissioned for competition to win being hanged up in the Copenhagen University Hall! So to surround the student-company with presumingly (as the painting or painter to my knowledge never actually stats who he painted) King Frederik III on horse and the overall commander Hans Shack and commander of the western front Claus Ahlefeldt discussing, where to deploy the "heroic students" at the most critical place during the storm. Rosenstand must have really pleased the University establishment as he won the competition. You are absolutely right that Claus Ahlefeldt as a veteran soldier knew that "this was it". Like he was thinking: "I have to show no fear to my men and give them courage if Denmark are still to exist tomorrow". That a top commander stands in front of his men at the fortifications works with his partizan getting blood on his hands would probably have spread like wildfire through the ranks. From a well fortified position it is also a good career move (as he would rise to Field Marshall later). It was critical times. Of all Denmark only Copenhagen was left standing and looked to be besieged for years with no immediate help in site other than the recently arrived 2000 dutch marines (an important morale boost, but not enough for a breakout battle) and any slip in courage at some point along the line and the Swedes would achieve a breakthrough, where their superior numbers of elite soldiers would be almost impossible to knock back. So not that Claus Ahlefeldt was a reckless general, but it was surely a calculated move. The fortification must hold at all costs. The Swedish commander responsible for leading Swedish forces over the ice of the Belts and scouting the Copenhagen defense works and pressing for an attack was Erik Dahlbergh. He was known as master of constructing fortifications and had apparently seen weaknesses in the Danish fortifications that could be exploited. Fortunately for the Danes they were seemingly alerted by spies to where the Swedish major assault and diversionary assaults would take place. Painting by unknown artist and date, that apparently was in the hands of the Ahlefeldt-Laurvig line at Tranekær (Counts of Langeland), but was sold at an auction around 1800 to Austria. The family later tried in vain to by it back, but was at least allowed to make a copy, which is at Tranekær today. Original is in private ownership in Salzburg.